Acumen’s ClearWater Recycling System provides an effective, below ground, biological washpad water recycling process. 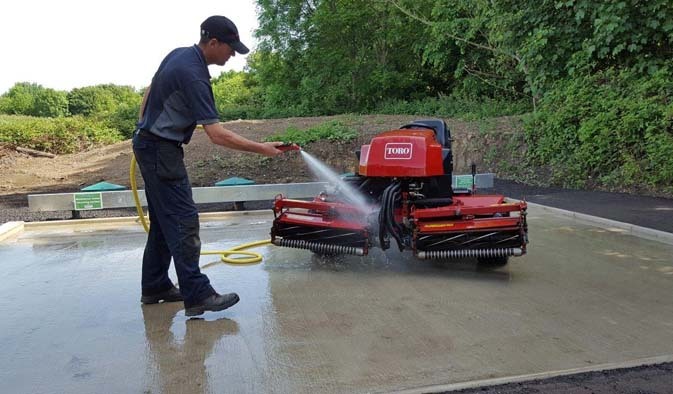 Our recycling systems are suitable for various applications including greenkeeping, grounds maintenance, small plant, machinery and vehicle wash-off areas. The advanced recycling system utilises harmless micro-organisms to clean contaminated water from washdown areas and as such, requires minimal maintenance with exceptionally low running costs. 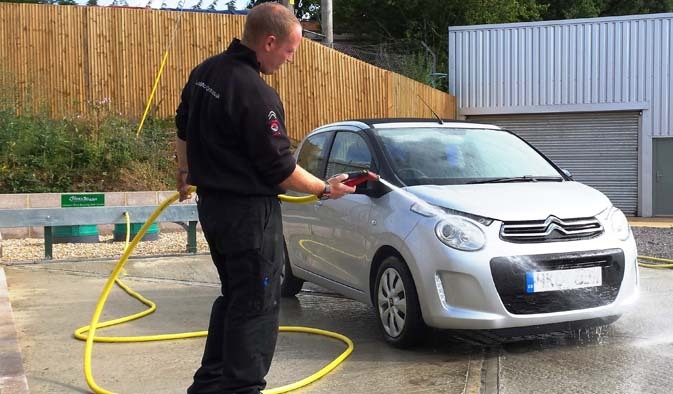 We also offer ClearWater Commercial, specifically suited for the washing of prestige and high-end vehicles located at premises where there is no easy access to foul sewer. This revolutionary system enables customers with a wide range of vehicles to achieve a very effective wash and finish. Whether you decide to self-install the system or purchase our turn key solution, each system comprises of compartmentalised tanks. These are leak free, corrosion resistant and are installed below ground. The tanks are fully guaranteed for 12 months following system commissioning. In addition to this, an annual service is carried out at competitive rates. Each tank has various components fitted to complete the system, ensuring complete aeration throughout and effective operation. The total storage capacity in the standard system is 5000 litres of water allowing ample time for biological treatment. 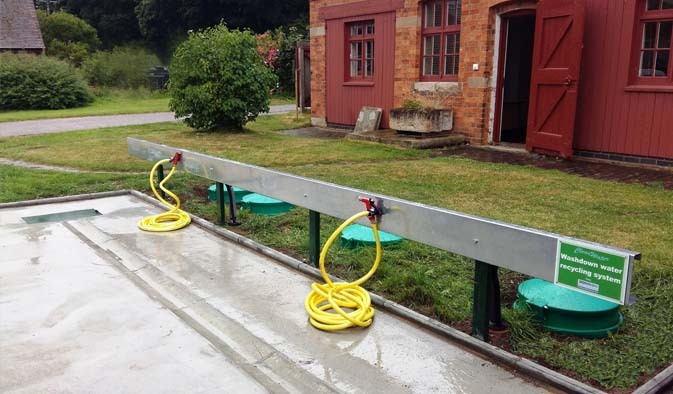 Contaminated wash-off water flows from a purpose-built wash pad through a Primary filter and then the Grass Trap/Silt Trap , (both of which remove most solid matter) and enters the underground tank. Micro-organisms then break down the contaminants in the oxygen-rich environment, producing clean water and carbon dioxide. Water then passes through a large coalescing filter to the secondary storage for settling of any suspended solids remaining in the now clean water. The clean water passes to final storage and is fed by powerful, submersible pumps to water guns for effective wash-off. This wash-water then returns into the system for treatment.